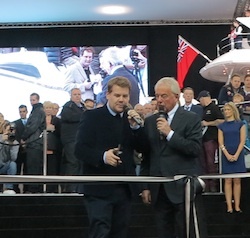 The 2014 London Boat Show opened yesterday a week earlier than previous years. It started with traditional unveilings from Princess, Fairline and Sunseeker. Princess has its new 43 on display, Sunseeker with its 75 Yacht, which was presented by Gavin and Stacey star, James Corden, and Fairline presented its Targa 48GT. 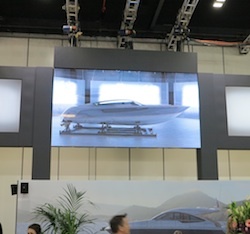 Fairline also announced its plans for a 30ft hybrid sports boat, the Esprit, which Fairline says it is judging interest before deciding to put it in production. The show, which is being held in London’s ExCeL in the Docklands, is open everyday until Saturday 12 January, with Thursday 9 January being open later than usual, closing at 9pm. The Motor Boat Awards are being held on the evening of Monday 6 January, so make sure to check out our gallery of winners on Tuesday morning.